PESHAWAR: A delegation from the Taliban visited China earlier this month to discuss the situation in Afghanistan, where the militant movement is fighting the US-backed government, sources in the Taliban said. “We informed Chinese officials about the occupation by invading forces and their atrocities against Afghan people,” he said. The visit was confirmed by other senior Taliban figures who did not want to be named because they were not authorised to speak on behalf of the Qatar political office. An important district in Afghanistan’s poppy-growing province of Helmand has fallen under Taliban control after heavy fighting that killed around 17 policemen, an official said on Saturday. The director of Helmand’s provincial council, Kareem Atal, said that Taliban militants attacked a series of police checkpoints on Friday night as part of a larger assault in the Kanashin district. Earlier, his deputy, Abdul Majeed Akhonzada, said that Kanashin district had “fallen into Taliban hands”. The fall of the district, which borders Pakistan and major poppy-producing districts, meant the “Taliban are in control of 60 per cent of Helmand,” Akhonzada said. Much of the areas of Marjah, Sangin, Garmser and Dishu districts have already fallen to the Taliban, he said. The district police chief and deputy head of the local branch of the national intelligence agency were critically wounded in clashes, he said. Precise casualty figures can’t be confirmed as fighting was still under way, he added. He said that bodies still littered the ground. Atal said troops had been deployed to retake the district, but it would be a difficult task “because the Taliban have destroyed all the checkpoints”. This is developed after the interview by Salim Safi with Ashraf Ghani who suggested he is willing to discuss with third party mediation even it is China. Very good development. 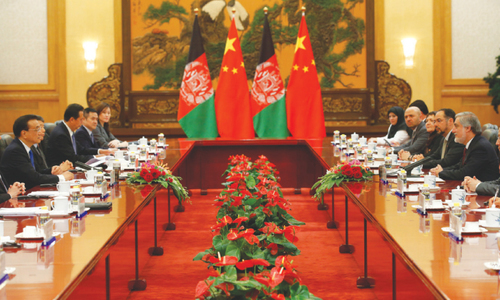 China is playing a positive role towards achieving lasting peace in Afghanistan. Well done. Abbas Sanakzai and the members of Qatar office do not represent Afghanistan in anyway. They are sitting in Doha and you can see them in the shopping malls buying expensive watches and perfumes with Qatari money. This is ironical. China discussing human rights. That's funny. China is a friend of rogue states such as Taliban and North Korea. That's what happens when a nation is not a democratic country. It will end-up supporting rogue states. This also suggests that separation-movements in india are about to get a strong godfather, China. India will be at the hinge of the conflict between China+Russia and USA+EU, and will have to pay heavy price in this decade. Raheel Sharif's pro country policies are moving the country forward and ensuring regional stability. He has made the lazy political system irrelevant. China's mediation is most welcome. It is good to hear Taliban are reaching out democratically to put their version to the world. US will have to face an increasingly polarised world. Seriously? Talibaan has an official delegation? Who are we looking for in the mountains if they are roaming around and crossing the borders legally? Hopefully China can help neutralise indias influence in Afghanistan now. Good development. Wonder how much of this stepped up Chinese involvement is in response to the growing tensions with the West in South China Sea. This may be a message from China to the US: if you make our life difficult in South China Sea, we can make life uncomfortable for you in Afghanistan, sub Continent, Central Asia, and maybe even Middle East. China can be much better and trustworthy interlocutaor to counter the devastating US-Indian influence in Afghanistan. China can bring lasting peace in Afghanistan because this will bring peace to Pakistan and the region which is good for China. US and India nexus want permanent chaos in Afghanistan because this creates low level chaos in Pakistan which is not good for China. See the difference in approach !! What a joke. Taliban office in Doha and they are negotiating with China? 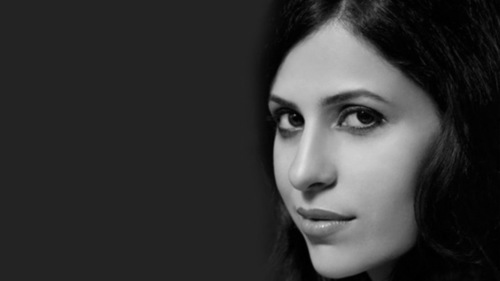 @NAUSHEEN M Wake up, they have an office in Doha, where incidently American fleet is based as well. Taliban has also entered the twenty first century, and have a political and armed wing. Irrespective of who ever is in discussion, hope they bring about peace in the region. 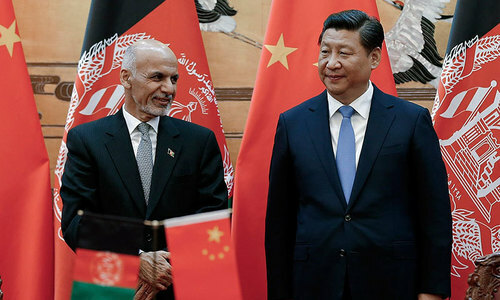 It would be interesting to watch the Chinese money start flowing into Afghanistan as well as a responsibility taken for political, social, economic and military outcomes inside Afghanistan. Who can have a problem with the Chinese take over the responsibility from India and the West. China is rising; gaining more importance on global stage. These meeting may bring some sense to this horrible conflict. The problem is still division in the ruling elite this has to sorted out befire some progress can be made. BIG BIG development. The word "occupation" and it's discussion will give plenty of heart burn to those who are occupying Afghanistan. And perhaps more to those who are riding on the shoulders of occupational forces. China is only interested in negotiating a deal with Taliban for safety of its personnel exploring minerals and expanding business in Afghanistan. China discriminates more against Muslims than any other country including India or even Israel!! Muslims have absolutely no rights to practice their faith in China, yet Pakistan and now even the Taliban panders to these guys!! What a farce and joke! I commend Dawn for being very fair and balanced in their reporting. USA is a superpower. They have bases in 106 countries.Weaponery is very very superior than China. Potentially a very good development but watch the Chinese as everything comes at a high cost with regards to one sided trade deals and looting of natural resources. They themselves not reached there but invited by china. This shows the eager of china to show that they are decision maker.means again by hiding true chinese power just want to show false picture to whom only one u.s. shifting gears. China is walking on a dangerous path. Hitler paid for not learning from Napolean's mistakes. China may end up paying for not learning from US' mistakes. 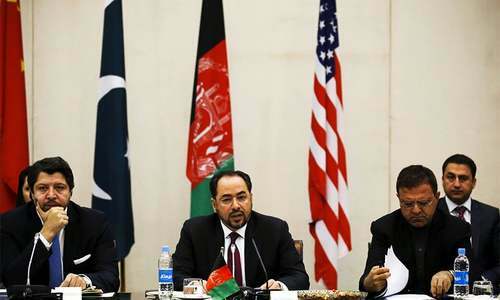 Why doesn't the Taliban delegation visit Afghanistan and discuss power sharing with the Afghan Government? 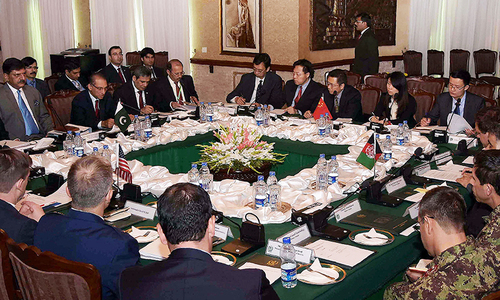 Was the Haqqani group represented in the Afghan delegation? The world is not about to allow a Taliban only Government to come to power regardless of what China thinks. @Jibraeel Jibraeel its easy to make statements but difficult to justify them Do you have any reasons ??? wise move. 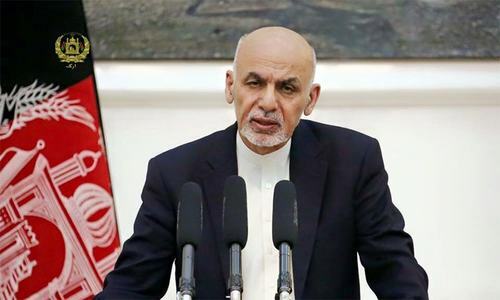 Current Afghan government has high regards for China and its involvement in Afghanistan. If Taliban take power in a few years, they too now have developed high regards for China. China and Pakistan can then ensure peace in Afghanistan by throwing all foreign meddlers out and also between Afghan opposing parties themselves. @Sayyid no one influenced by India. US, China yes. @Kamal Pasha. See Afghan government officials, they live like kings in Dubai and Oman. Now please don't blame Pakistan for all your failures, Afghanistan. Better ask your big brothers india for help with refugees. @satnam : When the two champions of democracy are busy destabilizing Muslim countries, somebody has to step in. @Jibraeel Big economies, countries likes stability so as USA, China, India due to inter-dependence. how can u set with a battalion guns in hands, so much blood on their hands? doesn't it sound funny? ! @Rizwan : Your greatest wish! @Modi : You actually mean China, Afghanistan, and Pakistan can turn on India --and smash it--and even take back Bangladesh,too? The Great Caliphate of China? China is playing a dangerous game, it will burn her also in future.